As part of the programming associated with "The Molok," a live-action fantasy film being filmed partly in Rochester, Broadway puppeteer Leah Hofmann ("Warhorse," "Something Rotten!" and "Big Fish") will be in town this week to teach a puppetry movement workshop. 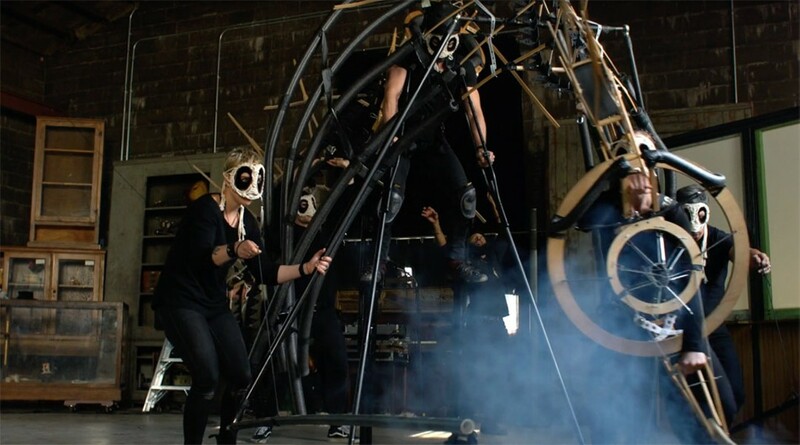 Offered in four sessions and in partnership with Rochester Dance Theatre Director Erika Ruegemer, the workshop will feature the 13-foot live action puppet from the film. Participants will work directly with Hofmann on puppetry theory, techniques, improvisation, and ensemble performance. You'll receive a certificate of completion and footage of your work, and top-performing students will have the opportunity to participate in a live showcase performance and will be considered for casting in the film. Bring dance or movement clothing and sneakers, a notebook, pen, towel, and water. Participants should have previous athletic, movement, or puppetry experience, and will be required to sign a waiver. The Molok: Puppetry Workshop takes place Saturday, February 2, 9:30 a.m. to 1 p.m. and 2 to 5 p.m.; Sunday, February 3, 9 a.m. to 12:30 p.m. and 1:30 to 5 p.m. at Visual Studies Workshop, 31 Prince Street. And the showcase performance and reception will be held Sunday, February 3, 6:30 to 9:30 p.m. $40 per participant; bring an object offering for The Molok and get 25% off the workshop price. The reception and performance are open to the public for cash donations or object offerings. xanderchauncey@gmail.com; search The Molok on eventbrite.com.